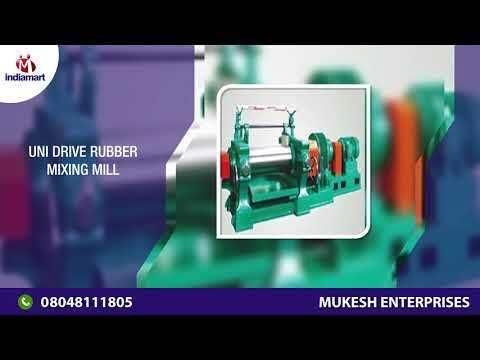 Established in year 1960, we Mukesh Enterprises is a recognized manufacturer, supplier and service provider of Dispersion Kneader, Mixing Mill, Rubber Extruder, Hydraulic Press Machine, Bucket Conveyor Machine, Rubber Calender Machine, Rubber Mixing Machine Repairing Service, Rubber Bale Cutter and Spare Parts of Rubber Mixer. These products are very much appreciated in the market owing to quality in less upkeep, robustness and capability to perform for long. Products and services are developed and performed with the assistance of experts and trained professionals at our advanced unit.